The saddest little video game convention. The saddest little video game convention. 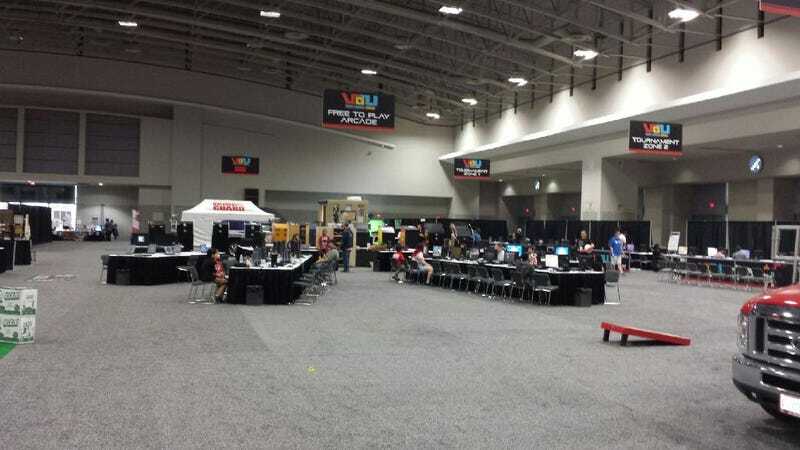 Taking place in the same Walter E. Washington Convention Center as the free-to-attend Pokémon World Championships, the $40-per-day Video Gamers United show crowds are just a wee bit smaller. Don't feel bad, the show's Twitter feed shows more people. Via Reddit.